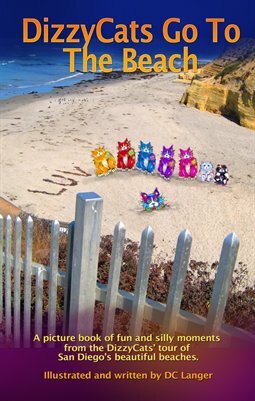 The DizzyCats are cute and colorful cats who share their day visiting various San Diego beaches. See who they meet and what they do! Author/ illustrator DC Langer created these sweet characters, inspired by her love of cats, and passion for dynamic color.